Trinity Kitchen: A street treat from ‘the whore of Babylon’? Mention Trinity Leeds to most people and you’ll usually get a very polarised response. As one blogger wrote earlier this week, it’s either ‘the whore of Babylon, or Trinity – depending where you stand on shopping destinations’. 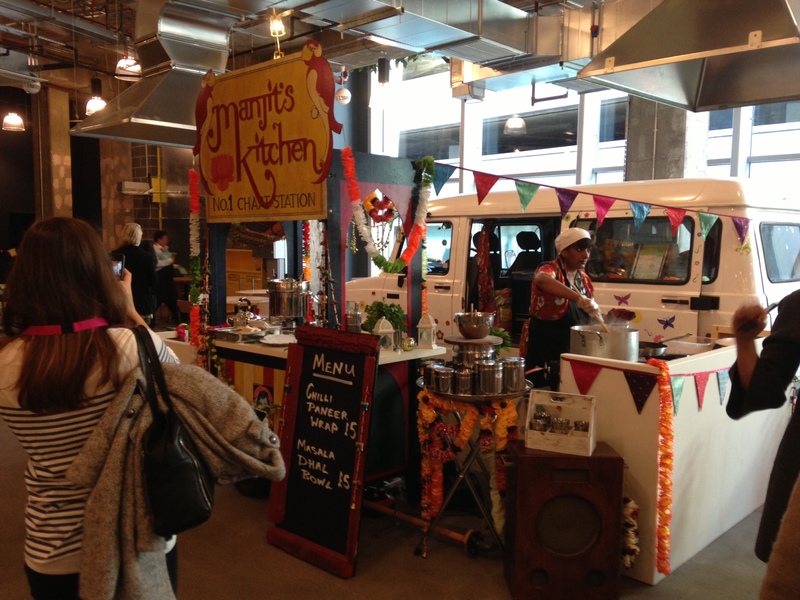 The new Trinity Kitchen element of the centre opened today, promising an indoor street food market with seven permanent restaurants and five ‘pop-up’ cool street food traders such as Manjits Kitchen. Fair play to the folks at Trinity for doing something different and looking beyond the delights of MacDonald’s, KFC and Burger King (the Core ‘food court’ take note). But the reason for this post isn’t to pat owners Land Securities on its back (it’ll get enough PR elsewhere) but to highlight how they actually get the bloody street vans onto the second floor of a major shopping centre in the first place. It’s actually quite nifty. There’s no vehicular access up to the second floor, so what they have to do is lift the vans late at night in a temporary lift from the street outside. Large second-floor doors swing open and the vans are driven in from there. 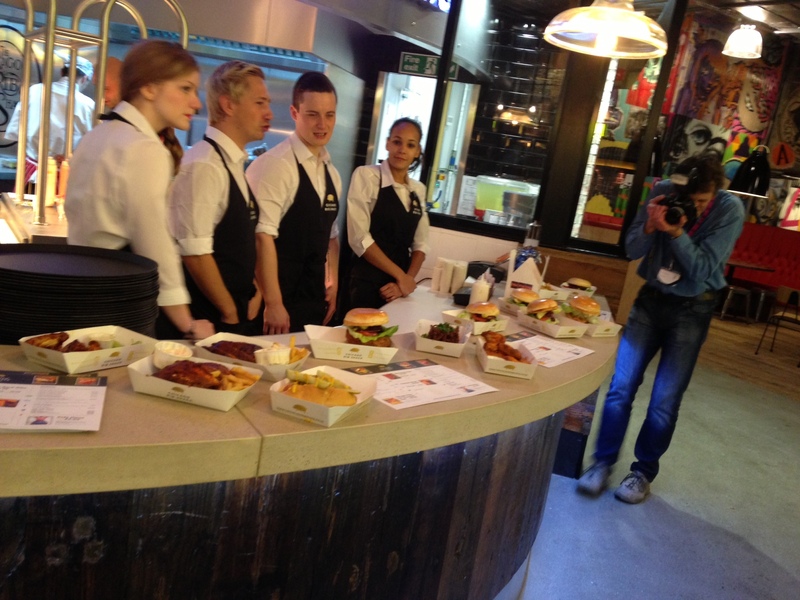 This entry was posted in Comment and tagged independent traders, leeds, opening, Street Food, Trinity Kitchen, trinity leeds. Bookmark the permalink. 5 Responses to Trinity Kitchen: A street treat from ‘the whore of Babylon’? Authenticity – at the heart of good street food! I vowed to my children that I would never cross the pits threshold, and I’m proud to say that I have kept that vow. The place stinks! Every shop in it is just the local branch of a national chain. So boring. The Corn Exchange and Granary Wharf were so much better, but of course these had to be “modernised” and now all those small traders have gone.